I’ve very excited to announce a list of new after school classes I’ll be teaching at the New Art Center. Also has the Teen Program Coordinator for the NAC I’m planning on some fun art-related events. More info soon. The jammed packed creativity starts early 2013 and registration opens today! Explore the genre of the graphic novel with comic books and manga. Delve into the history of the medium and its influences on animation, anime, music, and film. Students will create their own graphic novel, focus on story structure and pencil and ink art. Sketchbook required. Students will learn the fundamentals of drawing and acrylic painting in this energetic studio class. The class will cover composition, style, mark making, light and shading and other fundamental techniques. Additionally, class will look at contemporary practices of drawing and painting for inspiration and new ways of working. In this course students will be encouraged to pursue current interests and artistic skills that establish a solid foundation in the visual art practices. Choose you favorite media and work with professional artist and teacher, Steven Wilber, as you develop your artwork. Explore drawing, painting, sculpture, and other mixed media, that includes illustration, graphic novel, collage, and building techniques. Expect to make a final masterpiece by the end of the term! Starting with the basics and moving beyond, learn the steps to become a professional artist. This class is for students seriously considering the art world in their future or just interested in improving their painting and drawing skills. Some 3D work may be involved as the course progresses. Expect positive group critiques every week. Would you like to become a young leader in the art world? If you are interested in the visual arts, photography, music, dance, theater, and/or in organizing events, this is the perfect space for you. 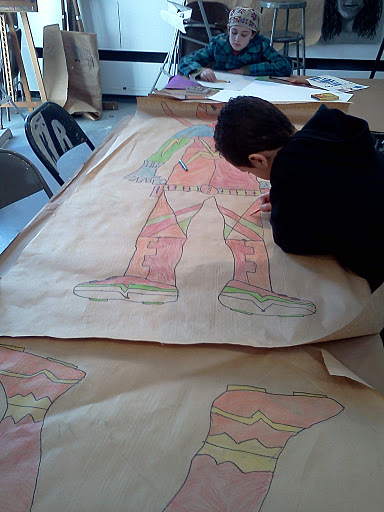 Led by art teacher and Teen Coordinator, Steven Wilber, participants will learn important leadership skills and tools like how to organize art-related activities, plan budget, raising money, and develop programs including field trips, parties, community art projects, teen night outs, art exhibits, and more. Use handbuilding techniques to create both functional and sculptural objects! Students in this class will develop an understanding of the materials and processes involved in ceramic art-making. The New Art Center offers a well-equipped ceramics studio for children to have fun while learning methods and techniques of working with the potter’s wheel. These are among the most popular classes. Students learn how to create their own mugs, bowls, plates, and glazing techniques. While this course is strongly focused on wheel throwing, students have the option to enhance their work, by adding texture, special touches, or a sculptural detail to their creations by altering wheel thrown shapes with hand building techniques. I can’t believe coworkers and I wrapped up the Fall semester at the Worcester Art Museum last week. Time unbelievably flies when you’re having fun! I decided to post some images of in process work and completed pieces. The feedback from students and parents on my Drawing and Painting classes this term were terrific and I’m glad kids not only had fun, but learned a thing or two. Happy holidays, everyone! 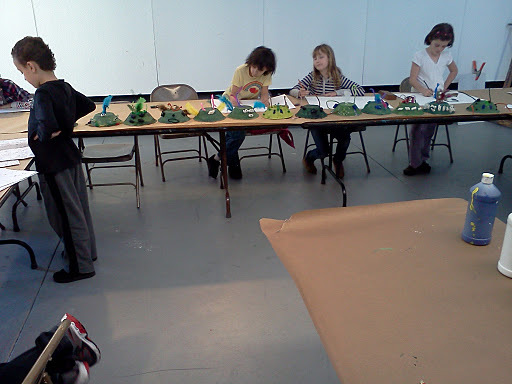 Lifesize andriods designed to save planet Earth! 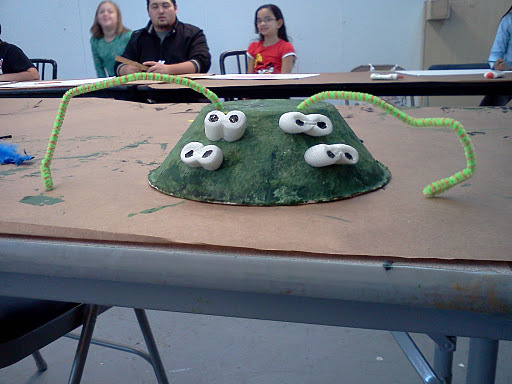 A paint bug: lesson with sponge painting and light, middle, & dark tones. 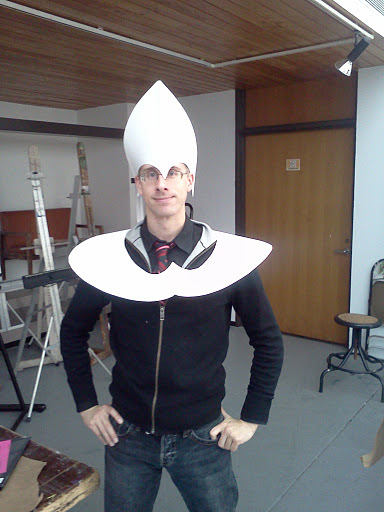 No, I’m not dressed as the pope. It’s the beginning of an alien disguise that will combine organic & geometric shapes. 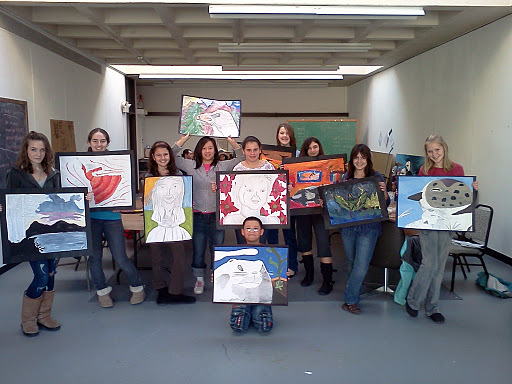 A group of very serious artists with their final pieces that incorporated both drawing and painting. I can’t believe it’s already October! I’ve been so busy with the beginning of new semester of public school (I’ll blog about that later), that I hadn’t realized my Saturday classes at the Worcester Art Museum begin next week! I still have openings in both, so please spread the word! Drawing 8-10 years old – Really get an understanding of the basics of drawing and begin building on that for more indepth drawing techniques. A great way to start before taking a Painting class! Drawing and Painting from Life 11-13 years old – Working from still lifes and models (some of whom willl be special guests) the corrolation of drawing and painting will be fully explored while students and I sketch, draw, and paint with a final piece to be presented at the end of the eight week term. Here are two classes I’ll be teaching for the first half of Session 2 in August at the Worcester Art Museum! Explore landscape, cityscape and dreamscape in the galleries. 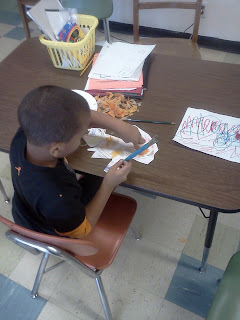 Then draw your own beautiful world using inks, watercolors, oil pastels and other drawing materials. 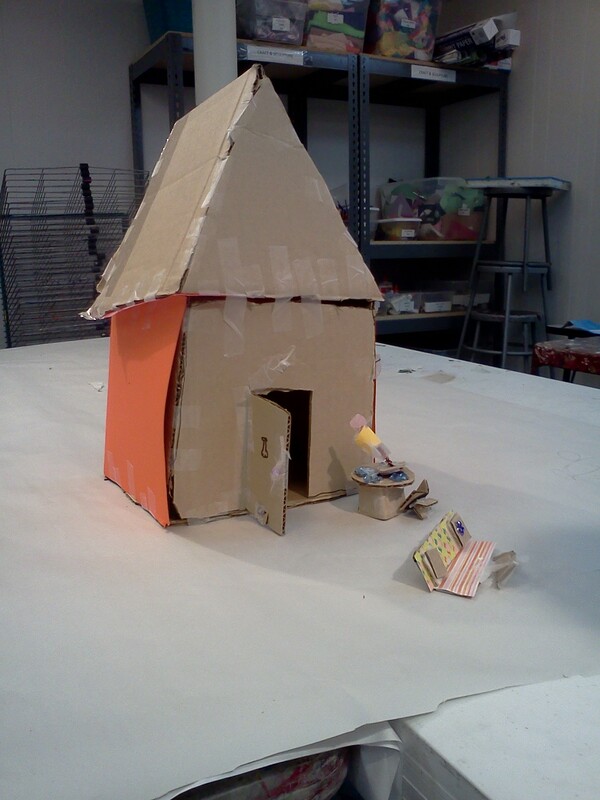 Get inspired in the Museum and let loose your creativity. 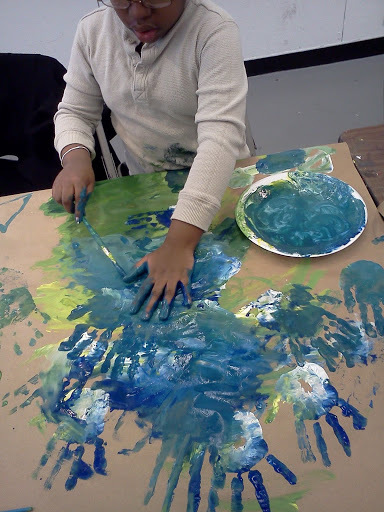 Experiment in sculpture, printmaking, paint and other materials to develop fun, colorful and experimental projects.